We must not let North Korea’s repetitive behavior erode our vigilance. Earlier this month, North Korea tested a new anti-ship missile and launched five short-ranged ballistic missiles in to the Sea of Japan. Characteristically, these launches were preceded by North Korean threats via its Central News Agency. After claiming to have miniaturized nuclear warhead capability, North Korea said on February 4 that the United States “should be mindful that the time of nightmare is coming nearer when they will meet the most disastrous, final doom on the U.S. mainland.” This is a routine that we have come to expect from North Korea, and we will almost certainly see more missile activity threats from the DRPK before the year is out. Last year alone, North Korea launched over 100 missiles and rockets into the sea, and staged elaborate photo pageants of Kim Jong Eun overseeing the nuclear annihilation of U.S. cities from Seattle to Austin, but we should not become complacent that they are all bark and no bite. North Korea’s regime is armed and dangerous, consistently testing the thin line between war and peace on the Korean Peninsula with their provocative behavior. There is no guarantee that they will never cross a line that would make conflict unavoidable – or whether they even understand where those lines stand. Sound national security strategy also demands that we take North Korea’s claims of long-range missile capability and nuclear warhead miniaturization seriously, and develop our defenses accordingly. We may not be able to control North Korea, but we can try to influence its thinking, and that of its main ally, China. Deploying a Terminal High Altitude Area Defense (THAAD) battery to South Korea, for example, would seriously weaken North Korea’s ability to use ballistic missiles to threaten the region to further its agenda. Based on its propaganda, North Korea believes its nuclear and ballistic missile programs are the cornerstones of its offensive military capability, and eroding that capability with additional missile defenses would greatly enhance U.S. and South Korean deterrence posture. With a 100% success rate in intercept tests since 2006, a THAAD battery positioned in South Korea would also provide nearly the entire country with protection against ballistic missiles, potentially saving untold numbers of lives should conflict occur. 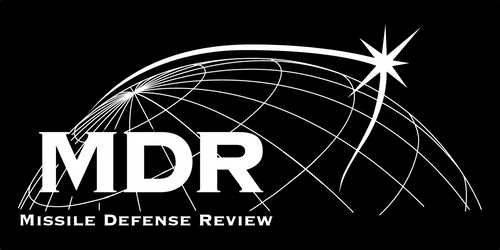 China has expressed discomfort with having such an advanced and capable U.S. missile defense system in its periphery, arguing that it would undercut regional stability. With enormous amounts of offensive U.S. air and naval power already in the region, it is curious as to why China has singled out the THAAD for being “destabilizing.” Nonetheless, if China has genuine military concerns, it should apply genuine pressure on its ally to curtail its ballistic missile development and engage in more responsible behavior. This course of action would do much more to enhance long-term regional stability than attempting to dissuade the United States and South Korea from forward deploying a non-lethal missile defense system. As beneficial as deploying THAAD to South Korea for regional security would be, the core of our security against North Korea remains the missile defense of the U.S. homeland. The credibility of the United States’ commitment to defend South Korea and Japan will remain questionable in eyes of the North Korean regime if we cannot protect ourselves. We must maintain the momentum we have gained from the successful demonstration of the Ground Based Midcourse System last summer by ensuring our Ground Based Interceptors are modernized and configured for optimal reliability. We must also look ahead, invest a redesigned kill vehicle to stay ahead of the threat in the intermediate term, and develop and deploy a Long Range Discriminating Radar to Alaska to better track and discriminate long range missiles heading towards the United States. As the long-range missile threat from North Korea evolves, so must our defenses. Complacency combined with vulnerability is a dangerous combination. This entry was posted in Asia, BMD Systems, Deterrence, Ground Based Midcourse Defense System, north korea, Strategy, THAAD and tagged Asian-Pacific, ballistic missiles, BMD, China, Defense Policy. Bookmark the permalink.